Cornelia Parker (b. 1956) is one of the most thoughtful and poetic artists working in Britain today. Her wide-ranging practice, chiefly in sculpture and installation, touches on the fragility of human experience and is rich with visual allusions and literary innuendo. Parker’s dynamic projects have included blowing up a shed, steamrolling musical instruments, exploding a firework made from a pulverized meteorite, and suspending charcoal taken from a church struck by lightning. This monograph traces the development of her art from the late 1970s to the present day. Organized chronologically, the book covers the small-scale sculptures she made while still a student; her work in lead, plaster, silver, and gold; drawings; photographs; video pieces; and installations. Over 175 works are illustrated and each is accompanied by a commentary from the artist herself. 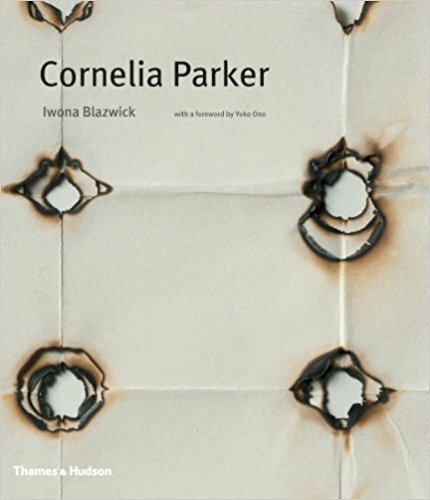 Five thematic essays by the curator and writer Iwona Blazwick contextualize Parker’s work and point to her key influences and concerns.